Oilweb is a good internet directory for oil and gas links. 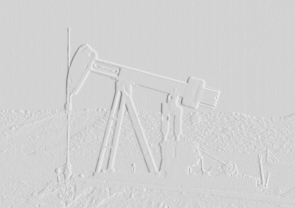 Oil OnLine is a unique online service based in Houston, Texas, the Capital of the Oil Industry, where oil & gas professionals from around the globe can access continually updated oil & gas technology, industry news, and marketing information at the click of a mouse. Petroleum Technology Research Information System:A resource that offfers a combination of free and subscription services. UTSI International has links to some unusual sites throughout the world. Pennwell Publishing is (along with Gulf Publishing) the top publishing company in the oil and gas industry; find an up-to-date industry calendar and descriptions of future events at this site. The Society of Petroleum Engineers is a non-profit organization of over 50,000 managers, engineers, operating personnel, scientists, and educators involved in the drilling, exploration, and production sectors of the oil and gas industry. SPE members reside in over 104 countries. Send new links and moving notices to radari@hotmail.com and thanks for your support.